Please take a look below for a description of each one. If you don't find what you're looking for please give us a call at 800-537-5642 or click the "Request Information" button to the right. Continental NH3 product is proud to introduce our new high capacity 1-1/2” 70 GPM duel heat exchanger kit. 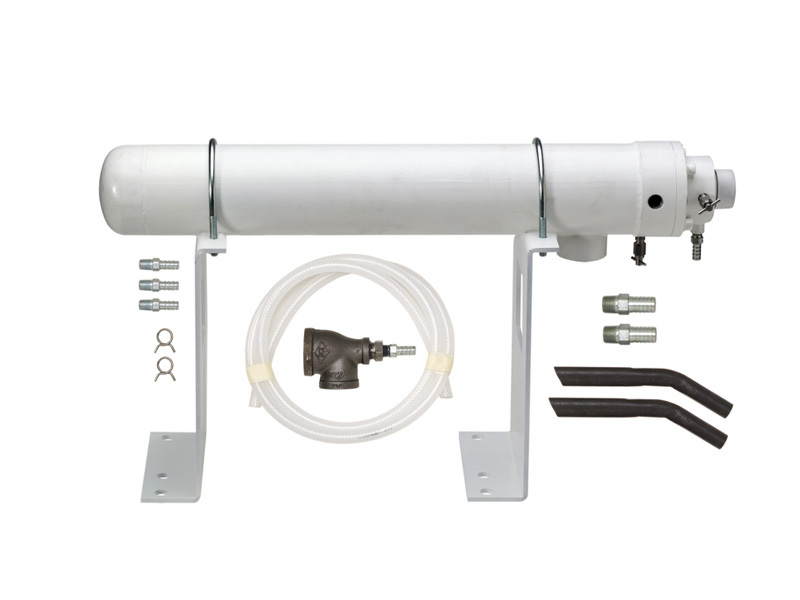 The A-SF-3000BD-KIT heat exchanger kit comes complete with heat exchangers, mounting brackets, control and shut off valve as well as all the plumbing required to put it all together. All that’s required is a controller and wire harness. 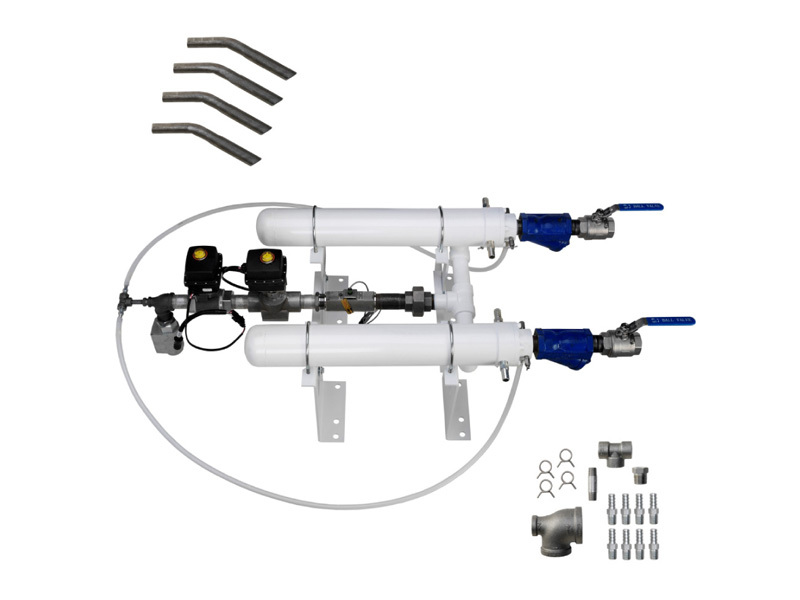 Our new kit makes it easier than ever to upgrade your NH3 cooler system. We make it easier on you by assembling the outlet plumbing portion of system and our with unique welded heat exchanger design, that eliminates a lot of the pipe threads involve in other duel cooler systems. Less pipe thread connections means less leaks as well as better flow. Our new systems uses our new 1-1/4” full port 120 degree control valve, A-CVT-125-CT, that increases your control accuracy by having 120 degree’s of turn unlike other 90 degree control valves and being it’s a full port 1-1/4” you can really put on the juice when you need and still be able to handle the lower flow requirements that small grain growers or side dress growers need. The A-SF-3000BD-Kit gives you a complete system, easy installation, higher capacity and more accurate. Continental NH3 product is proud to introduce our new high capacity 1-1/2” 45 GPM heat exchanger kit. The A-SF-3000GH-KIT heat exchanger kit come complete with heat exchangers, mounting brackets, control and shut off valve as well as all the plumbing required to put it all together. All that’s required is a controller and wire harness. Our new kit makes it easier than ever to upgrade your NH3 cooler equipment. We do all the work by assembling the outlet plumbing portion of system. Our new systems uses our new 1-1/4” full port 120 degree control valve, A-CVT-125-CT, that increases your control accuracy by having 120 degree’s of turn unlike other 90 degree control valves and being it’s a full port 1-1/4” you can really put on the juice when you need and still be able to handle the lower flow requirements that small grain growers or side dress growers need. The A-SF-3000GH-Kit gives you a complete system, easy installation, higher capacity and more accurate control of your NH3.